DO YOU HAVE A PLAN IN PLACE TO PROTECT YOUR FAMILY IN A HOUSE FIRE? Firestryker is a simple and easy to use fire suppression system that, upon ignition produces a powerful potassium aerosol jet that lasts for approximately 100 seconds. Simply, point the nozzle at the base of the flames to smother the fire at its core. Firestryker is suitable for homes, office, caravans or boats. Small and lightweight, Firestryker is environmentally friendly and can be safely stored for easy access in an emergency, preventing the fire from getting out of hand. 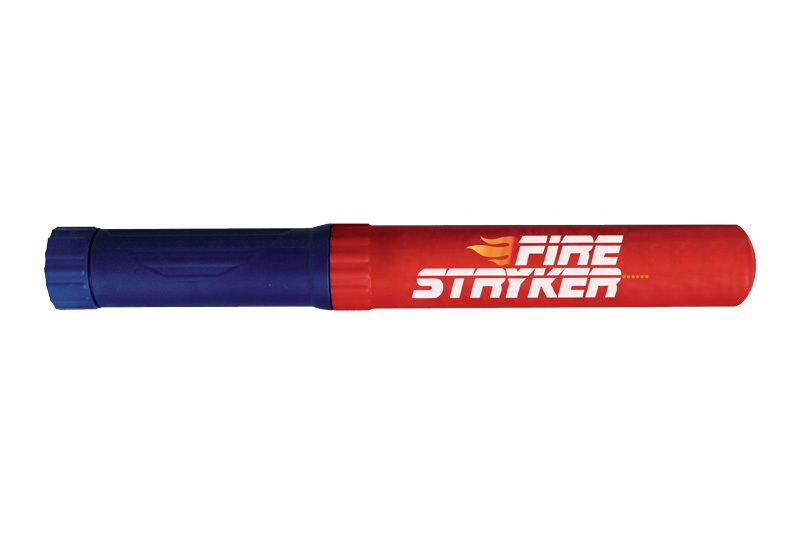 Firestryker is a small lightweight cylinder (365 grams). The upper part is a metal tube containing the extinguishing charge. The lower part is made of plastic and serves as a support handle. Firestryker is maintenance-free and will not expire for at least 8 years and leaves no residue. It is completely recyclable and non-toxic. It is easy to locate due to its compact size and is quick and easy to use. Firestryker is economical as it requires no servicing, checks or maintenance. There is no pressurized container so there is no risk of explosion or malfunction and Firestryker has no global warming or ozone depletion potential. Firestryker is an active fire protection device used to extinguish or control small fires and there should be at least one, if not more, in every home. The number will depend on the size of the home and whether it is multi-level. A fire breaking out in the home can put you, your home and your loved ones in danger. Having the right fire extinguisher and knowing how to use it are an important component of a home fire safety plan. While it is mandatory to have smoke alarms installed many people are not aware of the importance of having and investing in a fire extinguisher and so do not possess one. A fire extinguisher is not a replacement for a smoke detector but is an extra layer of security that you can add to your home’s fire safety plan. Before attempting to put out or control a fire, it’s crucial that you know the source, but Firestryker gives you peace of mind as it can be used on all types of fires. Servicing /Maintenance required – According to AS1851 all portable and wheeled fire extinguishers need to be tested every 6 months, pressure testing and refills should be carried out at least once every 5 years or functionality can be lost. Plus Pressure check and refill – 5 years - $? 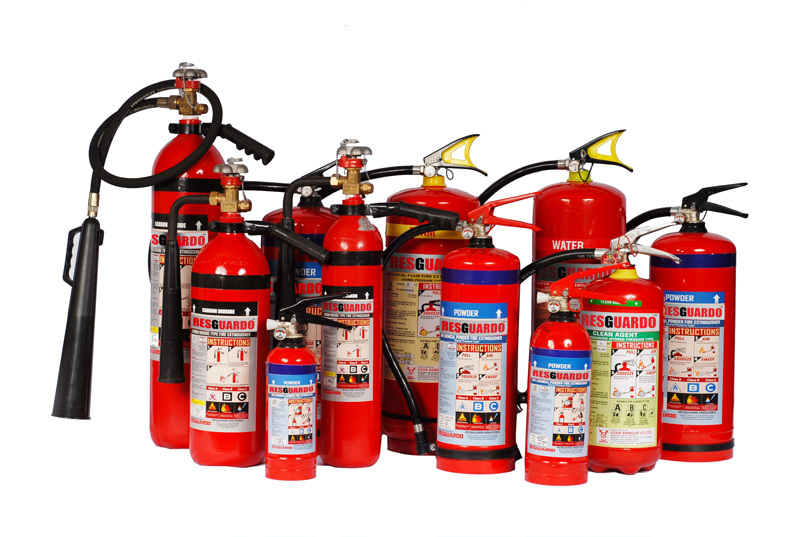 Firestryker is priced at $185 each so is not as cheap as traditional fire extinguishers, but they do pack a lot of punch and are still cheaper than a burnt-out house or injured loved one! Firestryker has been tested on all types of fires so there is no need to waste time while you consider the fire source and activation is immediate. Firestryker is far easier to handle than traditional fire extinguishers and, because of its compact size, can be stored in handy spots without taking up too much precious space. To get your hands on one visit our shopping cart.